Wildlife rehabilitation is a difficult but rewarding career. The requirements for wildlife rehabilitators vary from state to state. In most cases the work involves migratory birds but in some cases you might work rescuing mammals. When I lived in Humboldt County I was part of a local animal rescues and rehabilitation efforts where I also served as President. Although our teams worked extensively with birds of prey, waterfowl and other migratory birds, we also had teams for mammals and even rescued sea life–teaming up with a premiere marine mammal center not too far away. In most cases it is advantageous to work in conjunction with a care center or as an adjunct to another related agency. State permits come from each state game department and that is usually where you can get answers to questions about the regulations for wildlife rehabilitators in your area. Rules and regulations can get tricky and sometimes you might also need local permits. There is also a special federal permit for “Special Purpose Rehabilitation.” Partnering with an established rehabilitator or becoming active with the National Wildlife Rehabilitators Association would be of benefit and help you wade through the requirements and details. If you are not involved with an established agency, the cost of helping sick and injured wildlife can be very costly and time consuming. In most cases you will fund the housing and nutritional requirements. Although a college degree is not required to become a licensed wildlife rehabilitator, it would be advantageous to obtain a college degree in biology or ecology. The curriculum should include ornithology, mammalogy, animal behavior, ecology, and related wildlife and environmental subjects. If you can get some training in wildlife medicine that is also a perk. Before receiving their permits, they must meet various requirements such as specialized training, participation in mentorship programs, facility inspections, and written or oral exams. Rehabilitators who wish to care for birds must also get permits from the U. S. Fish and Wildlife Service. Once they receive their permits, conscientious rehabilitators continue their education by attending conferences, seminars, and workshops, by keeping up with published literature, and by networking with others in the field. 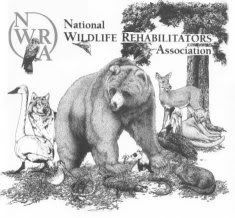 The “must reads” of the field include NWRA Principles of Wildlife Rehabilitation , Minimum Standards for Wildlife Rehabilitation, and Quick Reference: National Wildlife Rehabilitators Association . The International Wildlife Rehabilitators Council has a few works they recommend such as Basic Wildlife Rehabilitiation 1AB. If you are interested in helping wildlife (and keeping them wild instead of habituating them to humans) this may be a career area for you. Check out the organizations and start reading. Ultimately, I’d suggest you get your hands dirty in this career area and ask how the successful rehabilitators are making ends meet. It might not be the perfect career but something you could do outside of your normal workday. Thanks for stopping by. Yes, wildlife rehabilitation and rescue is a great service and one that increases in scope as time goes on. I found an orphan cotton tail. I talked to a wildlife rehabilitator and she told me to let it go. Although, I know the mother is deceased and I’m not sure if he is big enough to be in the wild. She said as long as his ears are perked and eyes are open he would be safe in the wild. But I need a second oppinion because I read on multiple sites that they should be the size of a baseball and he sure isn’t. I’m not sure what to do. If you ask for and get a professional opinion you should follow it. Although I appreciate your concern, the right contact for you is another wildlife rehabilitator not the Internet. Being a wildlife rehabilitator is the career of my choice and has been since I was a little girl. I am now 17 and reaching to my graduating point. I have searched for colleges and the only one I saw that specifies in this field would be Northern College in Ontario. Did you go to college? If so, which one? Another question I have is, what is the demand for this job? Although I would like to follow my dreams, I also want to better my future. If the likelihood of being hired is slim to none, I will have to do a lot of thinking. Also, if there is any other advice you could give, I’d grately appreciate it. Thank you for your time. Appreciate your visit. For more information my bio is under the About page. If you read the comment policy I don’t answer there types of questions here. 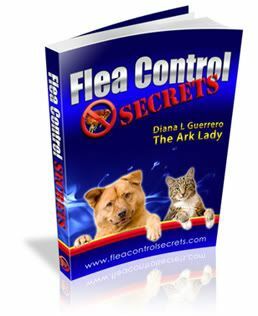 For personal coaching on animal careers please click the Hire Animal Expert link or subscribe to the blog.